Our message is Hope. Our promise is Freedom. Our hope is, “That no addict seeking recovery need ever die from the horrors of addiction.” Our message is, “That an addict, any addict can stop using drugs, lose the desire to use and find a new way to live.” Our promise has allowed many addicts to find freedom from active addiction. 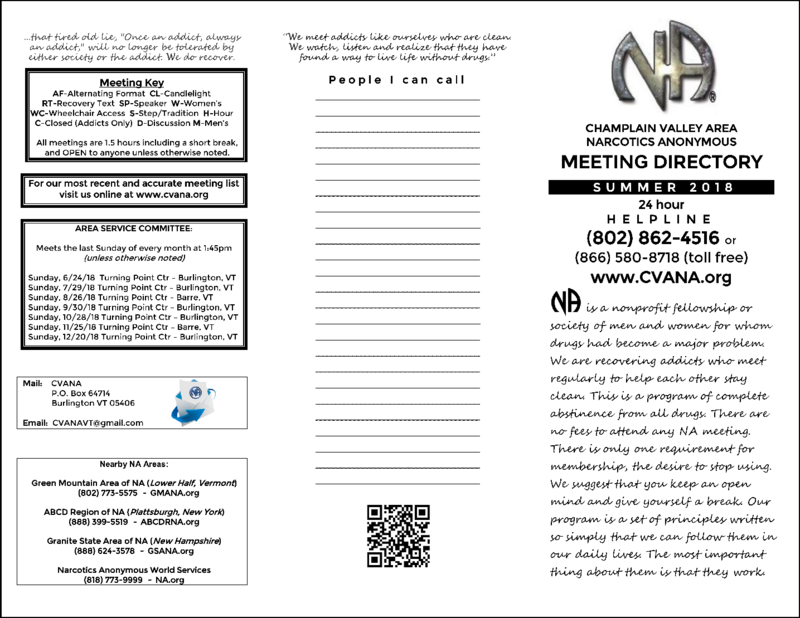 The Champlain Valley Area of Narcotics Anonymous began with a single meeting in Burlington, Vermont in 1985 (which is still in existence). Our fellowship grew and several meetings started in the Burlington area. In 1990, CVANA held its first convention, attracting recovering addicts from all over Vermont and New England. 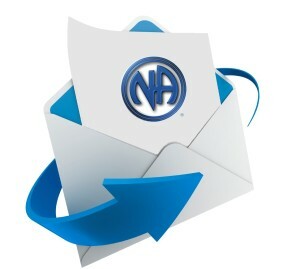 NA has continued to grow as more and more addicts join our fellowship and learn to live life without the use of drugs. Today, we hold 22 weekly meetings throughout Chittenden, Washington, Lamoille, Franklin, Caledonia, and Orleans County. Narcotics Anonymous is a non-profit fellowship of men and women for whom drugs have become a major problem. We are recovering addicts who meet regularly to help each other live drug-free. It costs nothing to attend an NA meeting. There are no dues or fees; the only requirement for membership is the desire to stop using. This is a program of complete abstinence from all drugs, which includes alcohol. Our fellowship focuses on recovery from the disease of addiction, an individuals drug (or drugs) of choice is unimportant. Anyone may join us regardless of age, race, sexual identity, creed, religion or lack of religion. Our primary purpose as an organization is to carry a message of recovery to the still suffering addict. Hopefully, our fellowship may be of benefit to you, your group or your organization.